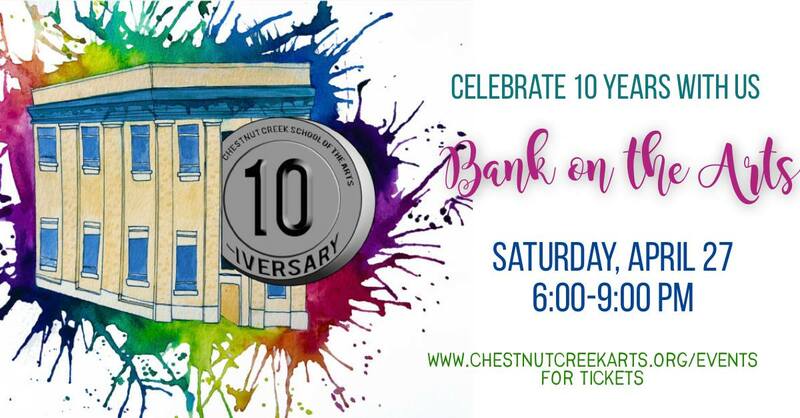 Bring out your bling for this fantastic night celebrating our past 10 years as Chestnut Creek School of the Arts. The theme is “Banking on the Arts” as the original build was First Nation Bank of Galax and the decor is a play on the 10th anniversary gift- tin. We encourage metallic and sparkly cocktail attire. There will be food, drink, music, art auctions, bench auctions, good company and fundraising to continue on another great 10 years! Mark your calendar-we can’t wait to celebrate our 10 year Anniversary with you! Silent Auction items can be delivered to our Main Campus beginning January 1, 2019. Our 3rd Annual bench project is looking for individuals and teams to commit to building an original, upcycled or new bench for this year’s gala. We are hoping to get 15-20 benches donated.